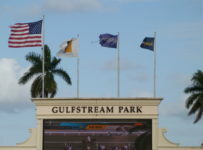 Gulfstream Park will resume racing on Thursday with eight races and first post of 1:15 p.m. 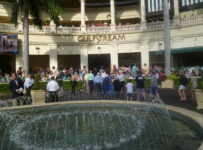 It will be the start of a regular Thursday through Sunday schedule of live racing at Gulfstream. 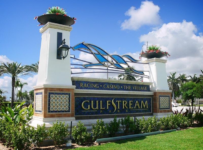 Thursday’s feature sixth race will be a rematch of Yourdreamsormine and We’re All Set, two horses that have been standouts in one-turn dirt races during Gulfstream’s spring meet and its current summer meet. 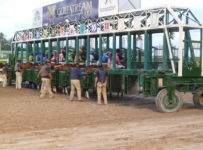 The Thursday card has a Rainbow 6 carryover of $19,310. It is on races three through eight. In Thursday’s first race, there will be a carryover of $1,767.93 on the Super Hi-5. 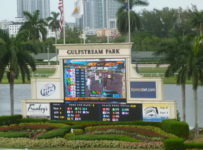 The sixth race has eight entrants and is seven furlongs on dirt for three-year-olds and up. It has a $44,000 purse and an optional claiming price of $62,500. Scheduled post is 3:54 p.m. We will have coverage during the afternoon on our blog. Since May 13, the stalker Yourdreamsormine and the seek-the-lead We’re All Set have faced each other three times. In two of those races, Yourdreamsormine won with We’re All Set finishing second. That order was the reverse in the other meeting. Yourdreamsormine, a 4-year-old colt, comes into Thursday’s race off a victory in the $75,000 Groomstick Stakes at Gulfstream on Aug. 27. 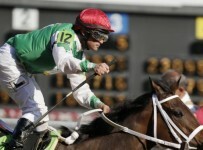 He won the seven-furlong dirt race in the fast time of 1:22.22 on a track listed as good. 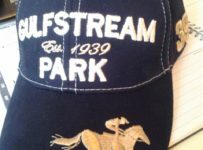 Tyler Gaffalione has the return mount on Yourdreamsormine for trainer/owner Milt Wolfson. We’re All Set, a 5-year-old gelding, will be making his first start since Aug. 5. 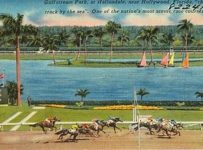 At Gulfstream that day, he finished second to Yourdreamsormine in an optional claiming race at one mile on dirt. Yourdreamsormine caught We’re All Set at the sixteenth pole and went on to win by three-quarters of a length. Edgard Zayas has the return mount on We’re All Set for trainer Peter Walder. Wildcat Wish, Day of Fury and Grand Bili also will have some supporters as win threats in Thursday’s race. Day of Fury, Grand Bili and We’re All Set likely will battle for the lead. We’re All Set is in post eight and could have a tactical advantage over Day of Fury in post three and Grand Bili in post five. 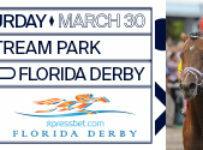 Day of Fury will be making his Gulfstream debut, and will be ridden by Cornelio Velasquez. New owner Patrick Maguire claimed Day of Fury for $25,000 out of a race at Saratoga on Aug. 14 and transferred him from trainer David Cannizzo to Gulfstream-based David Fawkes. Day of Fury finished second in that six-furlong dirt race. He has raced eight times this year at major New York tracks, mostly in optional claimers, and has three wins and three second place finishes. Grand Bili, a 4-year-old colt, had a standout 2015 season that included a win in the seven-furlong Carry Back (Grade 3) at Gulfstream. 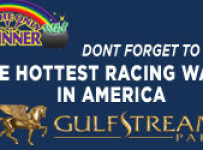 He has raced just twice this year, finishing fifth and ninth in stakes at Gulfstream. 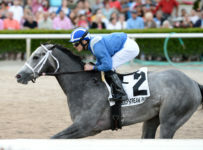 He is coming off a six-month layoff and has had a steady series of workouts at Calder (Gulfstream Park West). Emisael Jaramillo will ride Grand Bili for trainer Gustavo Delgado. The late-running Wildcat Wish has a win and eight other in the money finishes in eleven Gulfstream starts this year, mostly in allowance/optional claimers. Eddie Castro will ride for trainer Stan Gold. 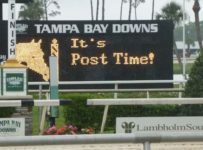 On Friday, Gulfstream will have nine races and first post time of 1:15 p.m.
On Saturday, it will have twelve races with first post of 12:45 p.m.
First post is 1:15 p.m. for Sunday. Entries will be out on Thursday afternoon. 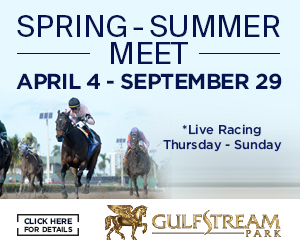 The next Gulfstream stakes races will be on Saturday Oct 1, the closing day of the summer meet. 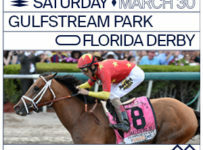 Gulfstream that day will have eight stakes, including the third and final legs in the four divisions of the Florida Sire Stakes series. Gulfstream on Oct. 5 will open its annual Gulfstream Park West meet at Calder. The meet will run through Nov. 27 and have 40 race days, mostly Wednesdays through Sundays.